Here is one of my selection of puzzles based on the Natural World topics, which I talk about at the Woodland Education Centre. Wow, there's even a "Ranger's Bad Joke" at the bottom of the page. Before you start you can find out about Lowland Heath by reading the article below. All the answers are in the article. Print out the page and have fun! 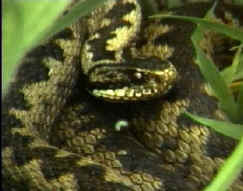 If you are really quiet when you visit a Lowland Heath you might just be lucky enough to see an adder! Lowland Heath is a very ancient habitat. It has been present in Britain for about 10,000 years which is when the last Ice Age ended. Lowland Heaths are very special places which support a whole range of different plants and animals which do not live elsewhere. At one time this type of habitat was much more common. Today over 80% of Lowland Heath has been lost to agriculture, forestry, roads and building. The term Lowland Heath is used for heathland which is below 300 metres. Above this it is known as Upland Heath. This means that many of the species which live on heathland are under threat. When you visit a heathland you might think that there is little wildlife present, as you gaze over the open expanse of heather and gorse, intermingled with grasses, bracken and scattered trees such as Silver Birch. However it is actually seething with life. At least 5,000 different species of invertebrate actually live on heathland. These invertebrates include wonderfully marked butterflies such as the Silver-studded Blue butterfly. You might also see Golden Ringed dragonflies acrobatically darting about as they catch insects on the wing. On the ground, bright green Tiger beetles rush about hunting even smaller insects. Birds such as the Dartford Warbler and the Nightjar also live on heaths, together with reptiles such as the adder and lizard. If you go out to a Lowland Heath in midsummer at dusk you might even hear the sound of the male nightjar and witness its territorial displays. As you look around you might also see rounded hillocks of earth which are now overgrown with vegetation. These are ancient burial mounds dating back to as long ago as the Bronze age. Even before this, neolithic (stone age) people lived on heaths. Indeed it is thought that they created some of the first heaths, through clearing the original woodlands and then grazing their stock in the newly created open areas. Grazing stock, such as sheep and cattle, in these areas, favoured plants like heather because the animals didn't actually like to eat them! This meant that the animals would eat the grasses and young tree seedlings instead. Where the soils were poor, sandy and acid in nutrients, this also favoured heath-type plants and gradually the landscape which we now term Lowland Heath came about. Of course, in modern Britain, you don't see so many animals grazing on heaths. This means that many of the few heaths that remain are being taken over by trees such as Silver Birch. Silver Birch trees are known as a pioneer species, because they are often the first trees to become established in an area. This invasion by trees continues year after year and the habitat is altered. Eventually slow growing large trees such as oak dominate. The area gradually becomes a dense woodland and all the plants and animals which can only live on a heathland are lost. This process of change is known as sucession. The surroundings have been changed in such a way that conditions favour different plants and animals. Today, heaths need management in order to prevent trees and other unwanted vegetation becoming dominant. Management may include the introduction of grazing animals. Where there are too many trees these will have to be reduced in number. This type of work is essential if more of this endangered habitat is not to be lost. Click here for lots more information on lowland heath. 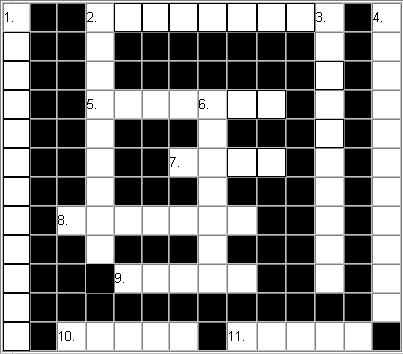 A second window will open so that you can use the information to help with some of the puzzles. 7. Heathland soil is sandy and . . . . ? 9. 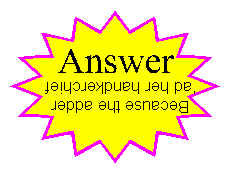 Lowland and Upland are types of . . . . . ? 10. A poisonous reptile found on heaths. 11. Nightjars and Dartford Warblers are . . . . . ? Find the key words listed below, in the word search box. Put a line through each word as you find it. Now make as many words as you can from the word 'Lowland Heath'. You can use each letter from the two words, only once, per word that you make. Ranger's Bad Joke! Why couldn't the viper wipe her nose?